An invitation to join the National League of American Pen Women, Nob Hill, San Francisco Branch brought with it the opportunity to bring the contest under the Pen Women non-profit umbrella and, thusly provide free and open-to-the-public award readings at the Koret Auditorium in the San Francisco Main Public Library, Civic Center. Since then, annually, on a Sunday afternoon early the following year, all prize winners and honorable mentions from the previous year’s contest are invited to read from their works at the Koret Auditorium in the lower level of the San Francisco Main Library, Civic Center.. WINNERS OF THE 2018 COMPETITION WILL READ FROM THEIR WINNING WORKS ON SUNDAY AFTERNOON, MARCH 31st, 2019. LIBRARY OPENS AT NOON. DOORS TO THE KORET AUDITORIUM OPEN AT 12:30 PM. PROGRAM BEGINS PROMPTLY AT 1:00 PM FOLLOWED BY A RECEPTiON. We have grown and expanded from one category to twelve and receive entries not only from across our nation but globally. Most of our categories accept previously published works. We do not publish the winning works and believe this is a positive condition of our competition. You can be named winner and additionally publish your work elsewhere, thus receiving twice the recognition and possibly more prize money. A group effort of judges, sponsors, and volunteer staff, we extend appreciation to Bob Dekraker, Generous Patron; to Joan Jasper, San Francisco Main Library Curator of Exhibitions and Public Relations; to Janice Zents, our Reception Host, to Donna Gillespie, our Event Greeter; and to Lois Apperson for providing beautiful koto performances. We encourage, support, and validate a diversity of creative expressions. 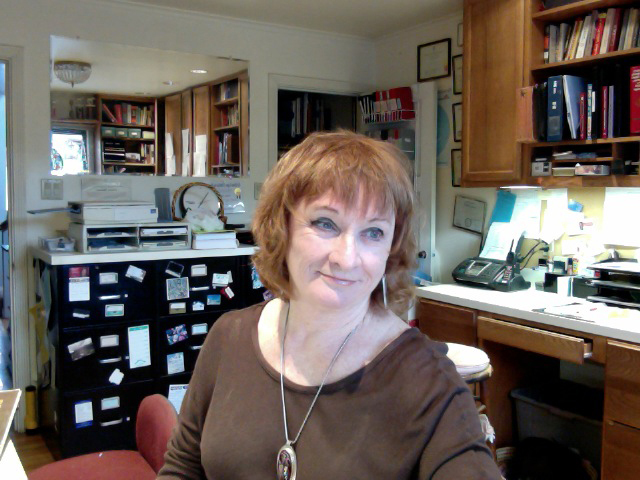 Founder/Director Eileen Malone (Broadmoor Village, CA) is the author of The Complete Guide to Writers Groups, Conferences and Workshops (Wiley), the award-winning collection Letters with Taloned Claws (Poet’s Corner Press), and poetry books: I Should Have Given Them Water (Ragged Sky Press) as well as It Could Be Me, Although Unsure (Kelsay Press). Her poetry and stories have been published in over 500 literary journals and anthologies, many of which have earned prizes and citations, i.e., four Pushcart nominations. Eileen taught K-12 with the California Poets in the Schools Program and creative writing workshops for the California Community College System. She hosted and co-produced an interview show for San Francisco Access Television which can now be viewed online. She is a voting member of the Northern California Book Reviewers, and as a mental health activist, sits on the Program Advisory Committee of Caminar. Eileen was also a past Poet Laureate for Broadmoor Village.